Blasey Ford’s Camp Tampered with Witnesses! RUSH: There’s a really important story out there that is not being covered. It’s not being covered on even Fox News or Fox Business News. It is a story of massive witness tampering. It is a story about a witness, Leland Keyser, one of the reportedly best friends of Dr. Blasey Ford. Leland Keyser says that she was bullied by another friend of Ford’s and a former FBI agent herself, Monica McLean. She was bullied. She was told, she was asked to change her story and say that she was in the room with Blasey Ford when Kavanaugh… Well, she was at the event when Kavanaugh supposedly did the dirty against Dr. Ford. She has maintained from the get-go that she doesn’t know what Dr. Ford’s talking about. She wasn’t there. 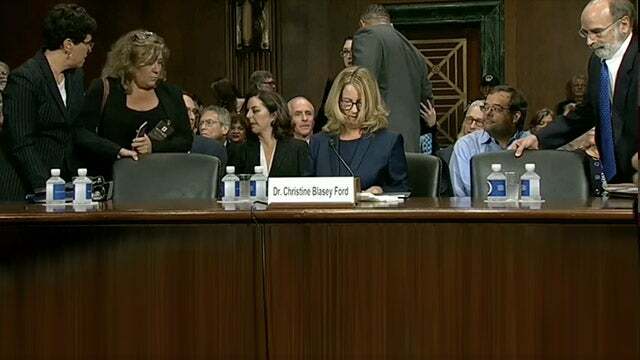 None of the four “witnesses” that Dr. Ford says were there say they were. Monica McLean, a former FBI agent and former friend of Blasey Ford, and it was at McLean’s house in Delaware where Blasey Ford wrote the letter to Feinstein! Did you know that? Yes! Blasey Ford was in Delaware with Monica McLean, and some are suggesting (I don’t know if it’s true) that actually Monica McLean might have written the letter. But at least that there was a collaboration, the letter that was sent to Feinstein. You would think this story would be all over the place.